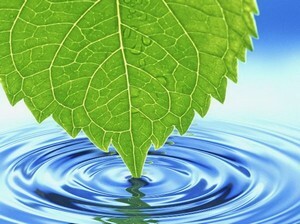 You can become mesmerized watching this beautiful leaf bob gently in and out of the water at a pace that you set. Each dip in the crystal blue water causes gentle ripples that you can control as well. The water is so brilliant is almost looks like a mirror reflecting the world around it.